For those of you that aren’t aware, this week was Shark Week on the Discovery Channel, which means a week of celebrating all things sharks. We always like to join in the fun, so we have selected this week’s inspirational parties all in honor of Shark Week. We truly appreciate the humor and creativity of this Shark Dinner Party featured on Pizzazzerie. Even with a funny theme, this outdoor party still offers elements of elegance with a bright turquoise and white palette. The centerpiece and recipe ideas are simple, but rich with creativity and they really bring the theme to life. Adding a calypso band or steel drum band could also give your dinner party a little more flare with festive beach background music. Don’t forget to ask the band if they can play the theme from Jaws, guests will love it! 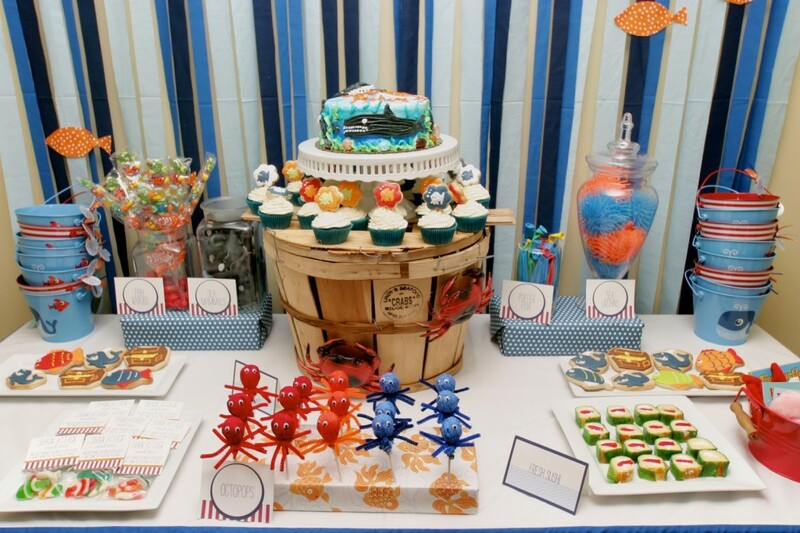 Our Shark Week party inspiration continues with this adorable Under the Sea Birthday Bash from Cup Kate’s Event Design. Everything about this party is amazing including the goldfish cracker bar, elaborate dessert and party favor display and creative menu items like “7 Leagues Under the Sea Salad." If you are thinking about adding entertainment, hiring a temporary tattoo artist to airbrush sharks, fish and other sea creature favorites would definitely be a hit with the kids. 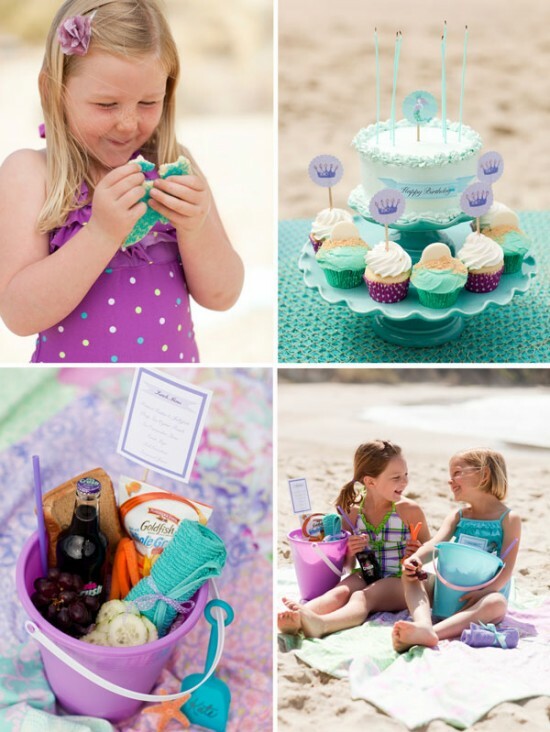 In keeping with aquatic party themes, take a look at this enchanting Mermaid Party from One Charming Party. 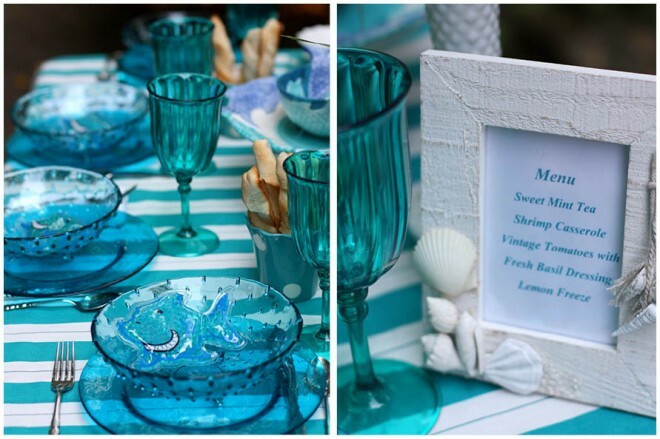 This particular party was hosted with a beach setting, but a mermaid theme could easily be transported to your backyard or pool. The “Make a Splash” invitations and create your own “Queen of the Sea” crown craft project are adorable. Booking a costumed character and arranging a surprise visit from Ariel, (everyone’s favorite mermaid) would be a great grand finale to this birthday adventure. That wraps up our Shark Week inspired party picks. We would love to what you think of our selections, let us know in the comments below.